After the movie studios botched the initial launch of UltraViolet before the Blu-ray release of Horrible Bosses last month, the collective group of UltraViolet backers has finally enabled the ability to stream and download standard definition movies. With Universal Pictures, Lionsgate Entertainment, Paramount Pictures, Twentieth Century Fox, Sony Pictures Entertainment and Warner Bros. Entertainment Inc. all pushing the technology, the studios hope consumers will want to download copies of movies onto portable devices like smartphones or tablets. 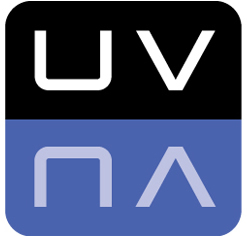 UltraViolet acts as a digital locker that enables users to download or stream a purchased film from the cloud. This move is designed to curb efforts to rip high definition movies to other formats and ultimately slow piracy. It’s also considered an added feature for anyone that purchases a physical copy of a new film. Released films that support Ultraviolet include Horrible Bosses, Green Lantern and Crazy Stupid Love. After the release of Harry Potter and the Deathly Hallows, Part 2, future releases with Ultraviolet functionality include The Smurfs, Friends with Benefits, Cowboys & Aliens, The Hangover Part II, One Tree Hill: Season Eight, the Underworld Trilogy and Final Destination 5. To access the digital download of the film, consumers locate a redemption code within the packaging and redeem the code with the Flixster film service. Warner Brothers also owns the Flixster application as they purchased the company earlier this year. In order to start some buzz around Ultraviolet, Warner Brothers is handing over advertising dollars to Twitter to turn the #UltraViolet hashtag into a promoted trending topic. Unfortunately, Twitter users are getting it confused with the critically panned, 2006 release of UltraViolet starring Milla Jovovich. Some Twitter users were hoping for a sequel to the film while others laughed at the mention of the movie. In addition, opponents of the UltraViolet that view the technology as restrictive DRM are leaving one-star reviews of the final Harry Potter movie on Amazon in an attempt to dissuade consumers from purchasing the Blu-ray copy of the film.